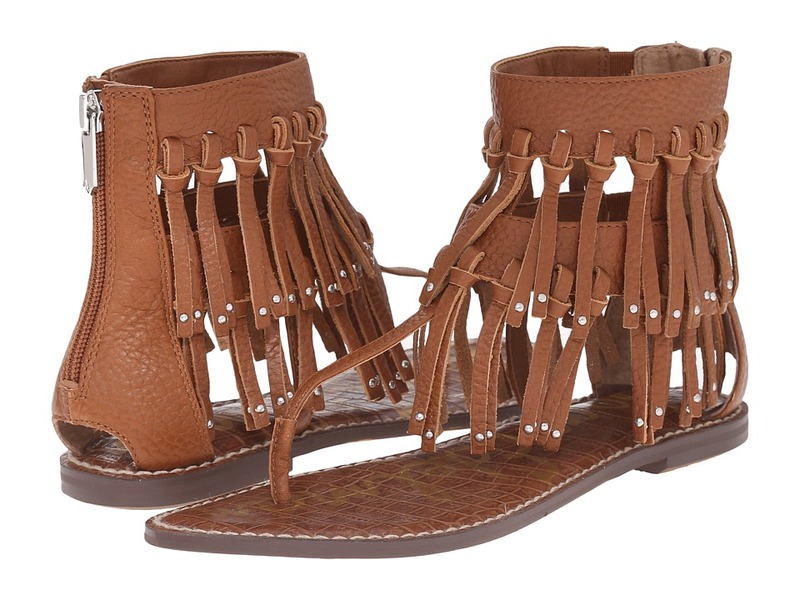 Upgrade your festival style game in the effortlessly chic Griffen fringe sandal. Leather upper. Back-zip closure. Open toe. Thong-style silhouette. Layered fringe with studded accents. Leather lining and insole. Leather sole. Imported. Measurements: Heel Height: 1 2 in Weight: 8 oz Shaft: 5 1 4 in Product measurements were taken using size 6, width M. Please note that measurements may vary by size. Weight of footwear is based on a single item, not a pair. 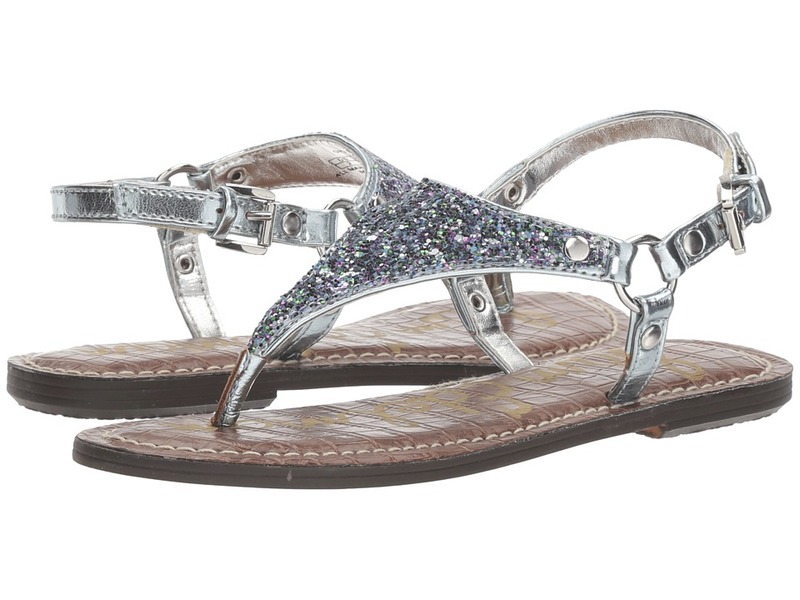 Stroll all day with these fun sandals from Sam Edelman Kids. Manmade upper features hardware logo. Thong-style construction. Adjustable buckle closure at ankle strap. Synthetic lining and cushioned footbed. Synthetic sole. Imported. Measurements: Weight: 3 oz Product measurements were taken using size 13 Little Kid, width M. Please note that measurements may vary by size. Weight of footwear is based on a single item, not a pair. 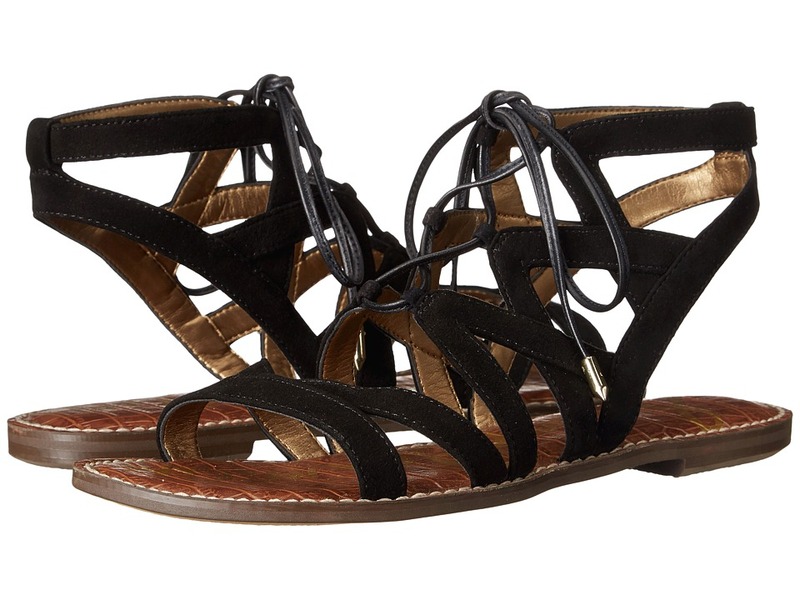 Perfect your summery-chic ensemble in these modern gladiator sandals. Gladiator sandal in a smooth manmade upper. Lace-up design with back-zip closure. Open-toe, caged silhouette. Synthetic lining. Lightly padded footbed. Synthetic sole. Imported. Measurements: Heel Height: 1 in Weight: 6 oz Product measurements were taken using size 2 Little Kid, width M. Please note that measurements may vary by size. Weight of footwear is based on a single item, not a pair. 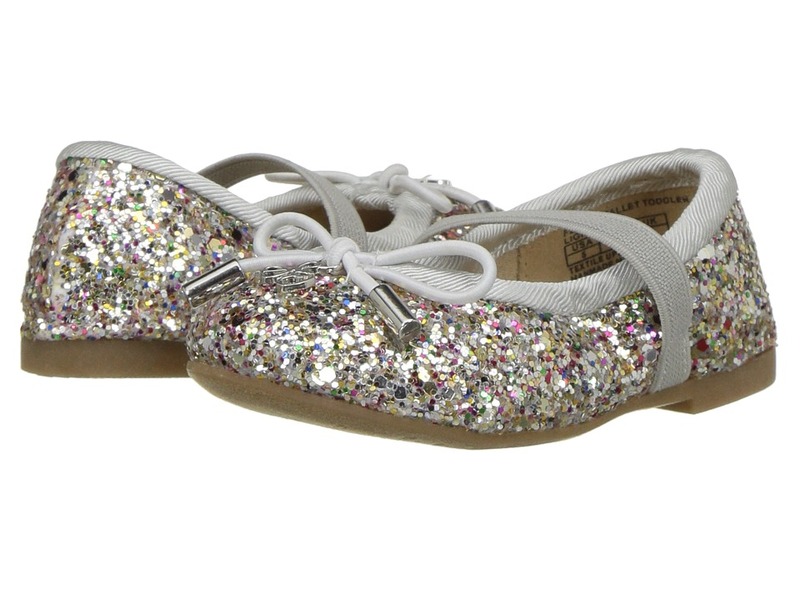 Charming and sweet in the Felicia Ballet from Sam Edelman Kids! Ballet flat in a manmade upper features adorable fixed bow at vamp. Signature logo charm. Elastic topline for added comfort. Slip-on design. Manmade lining and footbed for comfort. Manmade outsole. Imported. Measurements: Heel Height: 1 4 in Weight: 5 oz Product measurements were taken using size 2 Little Kid, width M. Please note that measurements may vary by size. Weight of footwear is based on a single item, not a pair. 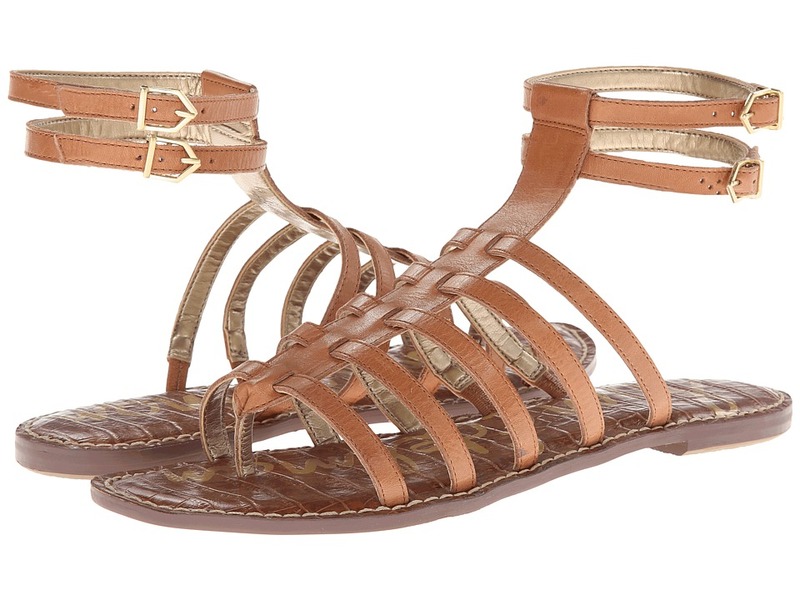 Perfect your summery-chic ensemble in these modern Gemma gladiator sandals. Leather or suede upper. Lace-up design. Open-toe, caged silhouette. Round toe. Man-made lining and insole. Lightly padded footbed. Micro heel. Man-made sole. Imported. Measurements: Heel Height: 1 2 in Weight: 7 oz Product measurements were taken using size 8, width M. Please note that measurements may vary by size. Weight of footwear is based on a single item, not a pair. Look your best in the Francis from Sam Edelman. Available in a variety of leather uppers. Signature logo etching on vamp. Round-toe silhouette. Synthetic lining. Lightly cushioned footbed. Synthetic outsole. Stacked heel. Imported. Measurements: Heel Height: 1 2 in Weight: 6 oz Product measurements were taken using size 9, width M. Please note that measurements may vary by size. Weight of footwear is based on a single item, not a pair. Seduce your style with the chic Sam Edelman Susie heels. Upper made of leather. Buckle closure at ankle. Man-made lining. Lightly cushioned insole. Chunky blocked heel. Man-made outsole. Imported. Measurements: Heel Height: 2 1 2 in Weight: 12 oz Product measurements were taken using size 7.5, width M. Please note that measurements may vary by size. Weight of footwear is based on a single item, not a pair. 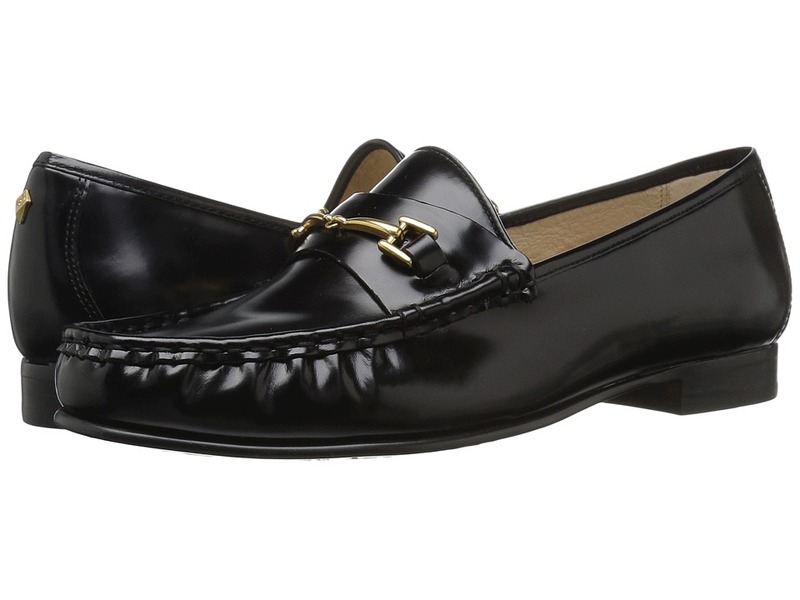 Spend your weekend in these comfy loafers from Sam Edelman! Leather upper. Metallic accent. Moc toe. Leather lining. Lightly cushioned footbed. Man-made outsole. Stacked heel. Imported. Measurements: Heel Height: 1 2 in Weight: 8 oz Product measurements were taken using size 8, width M. Please note that measurements may vary by size. Weight of footwear is based on a single item, not a pair. 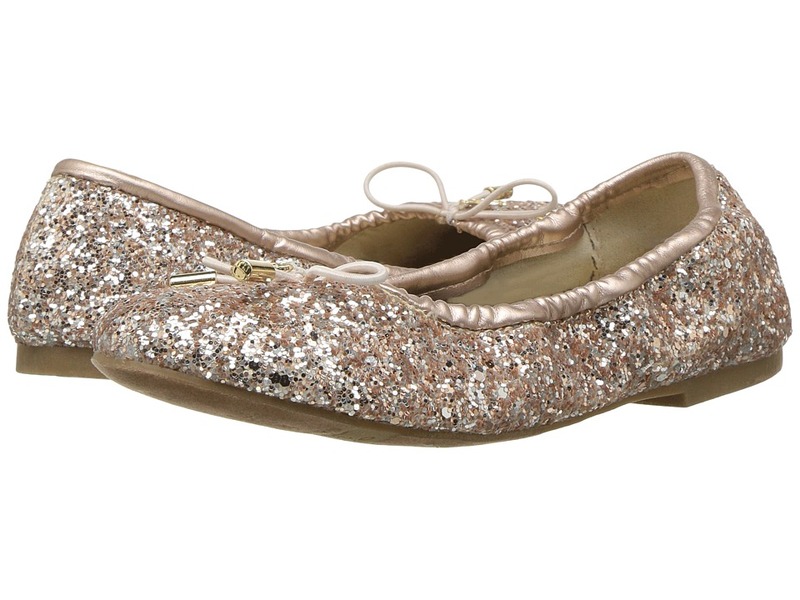 Sweet and charming in the Felicia flat from Sam Edelman Kids! 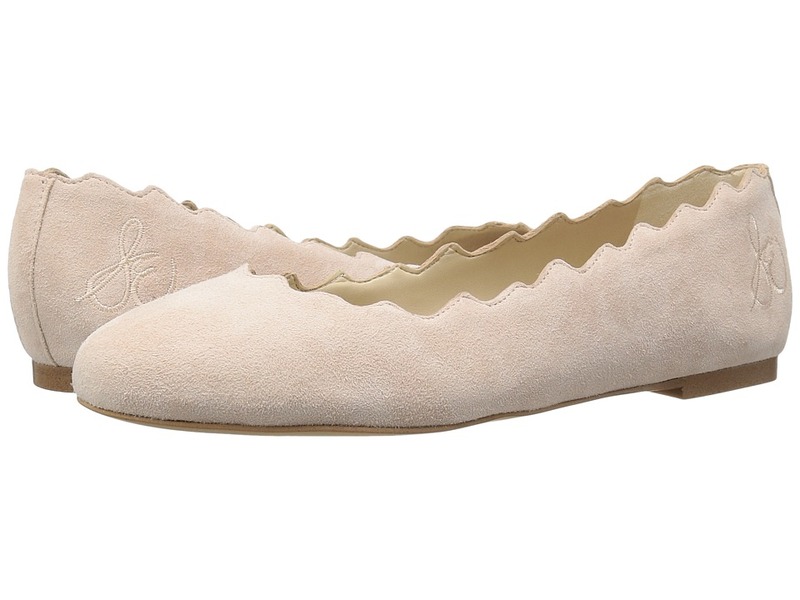 Ballet flat in a textile upper features adorable fixed bow at vamp. Signature logo charm. Elastic topline for added comfort. Slip-on design. Manmade lining and footbed for comfort. Manmade outsole. Imported. Measurements: Weight: 2 oz Product measurements were taken using size 9 Toddler, width M. Please note that measurements may vary by size. Weight of footwear is based on a single item, not a pair. She~s ready to make the perfect fashion statement in this pretty Petty Bootie by Sam Edelman Kids! Smooth synthetic upper. Zipper closure for quick and easy on and off. Man-made lining and a cushioned man-made footbed. Flexible rubber outsole. Imported. Measurements: Heel Height: 1 in Weight: 7 oz Platform Height: 1 4 in Product measurements were taken using size 13 Little Kid, width M. Please note that measurements may vary by size. Weight of footwear is based on a single item, not a pair. Georgette is the perfect summer sandal to pair with all of your chic warm-weather ensembles. Leather or suede upper. Slip-on design. Open toe. Thong-style silhouette. Synthetic lining. Lightly padded footbed. Mini stacked heel. Synthetic sole. Imported. Weight of footwear is based on a single item, not a pair. Embrace a new essential! 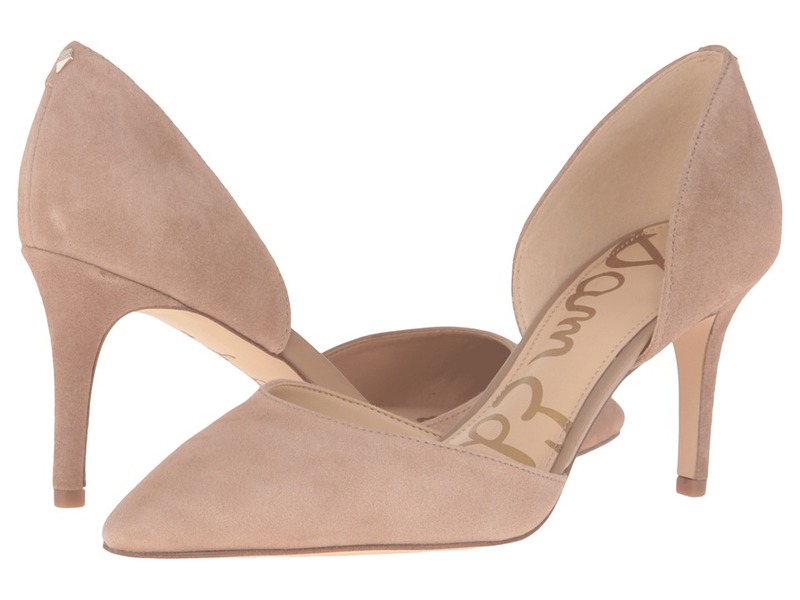 Reinvent your signature look with the simply classic Sam Edelman Hazel pump. Available in variety of leather, man-made, and textile uppers. Slip-on design. Point-toe silhouette. Leather lining and insole. Double padded footbed. Wrapped stiletto heel. Leather outsole with synthetic heeltap. Imported. Some colors contain dyed real fur from calf, imported from China. Measurements: Heel Height: 3 1 2 in Weight: 7 oz Product measurements were taken using size 6, width M. Please note that measurements may vary by size. Weight of footwear is based on a single item, not a pair. 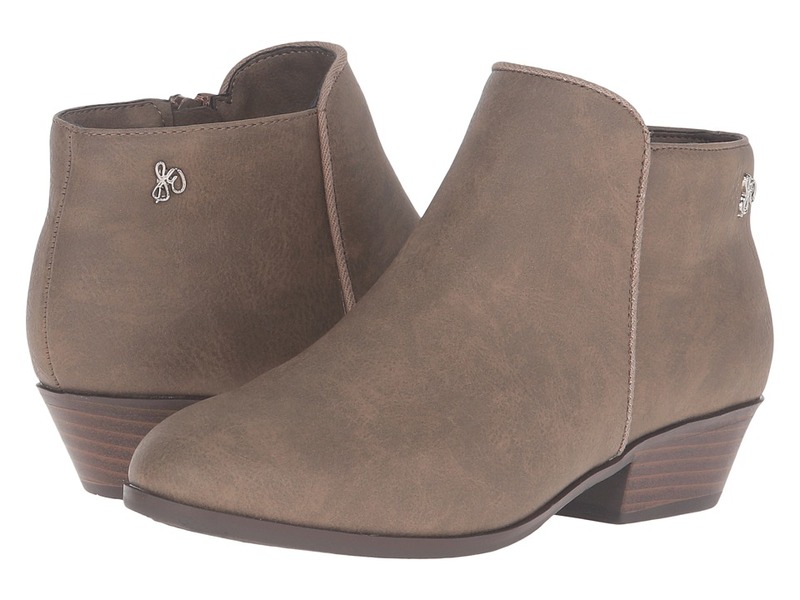 The Reema from Sam Edelman will take you to new fashionable places! Leather upper. Leather lining. Pointed toe. Lightly cushioned footbed. Leather outsole. Wrapped heel. Imported. Measurements: Heel Height: 1 4 in Weight: 6 oz Product measurements were taken using size 6, width M. Please note that measurements may vary by size. Weight of footwear is based on a single item, not a pair. Walk around town and explore what the city life has to offer in the Sam Edelman Telsa. Available in premium leather, suede and patent PU uppers depending on colorway. Slip-on design. Point-toe, d~Orsay silhouette. Leather lining and insole. Lightly cushioned footbed. Synthetic outsole. Wrapped stiletto heel. Imported. Measurements: Heel Height: 3 in Weight: 6.6 oz Product measurements were taken using size 8, width M. Please note that measurements may vary by size. Weight of footwear is based on a single item, not a pair. 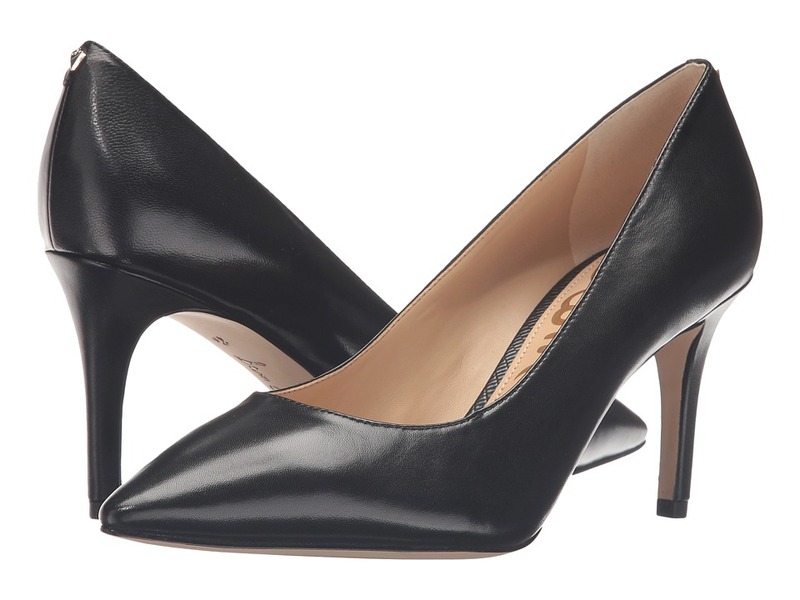 Put your best fashion foot forward in the classically-inspired Tristan. Leather upper. Slip on. Man-made lining. Pointed toe. Lightly cushioned footbed. Wrapped heel. Man-made outsole. Imported. Measurements: Heel Height: 3 in Weight: 7 oz Product measurements were taken using size 7.5, width M. Please note that measurements may vary by size. Weight of footwear is based on a single item, not a pair. 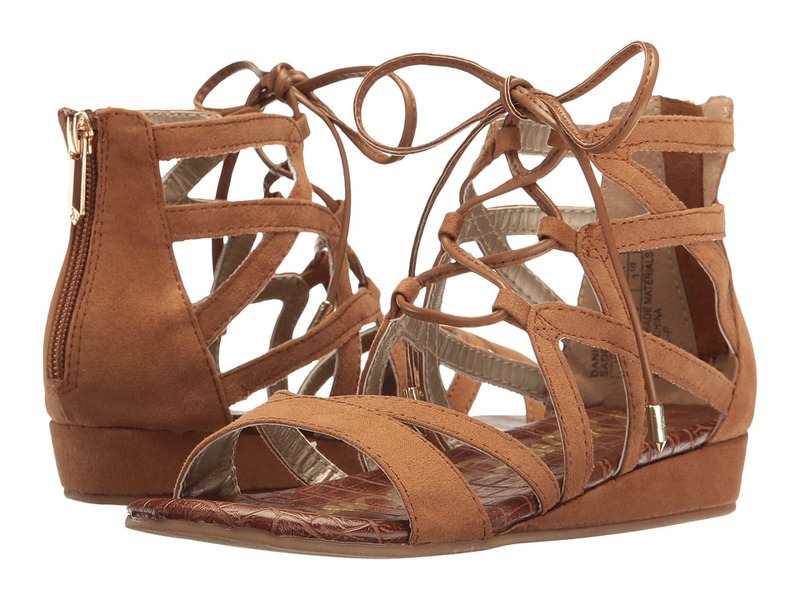 Dominate the streets as you sport this gladiator-inspired sandal. Leather upper. Thong design. Dual adjustable ankle straps with buckle closure. Lightly padded insole. Man-made sole. Imported. Weight of footwear is based on a single item, not a pair. 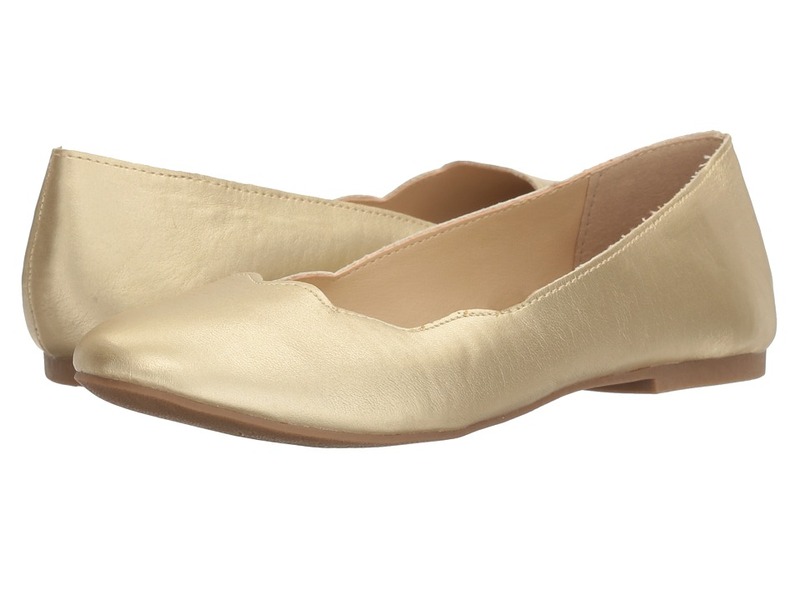 From school days to weekends, they~ll love rocking the dynamic Sam Edelman Kids Felicia Anna ballet flat! 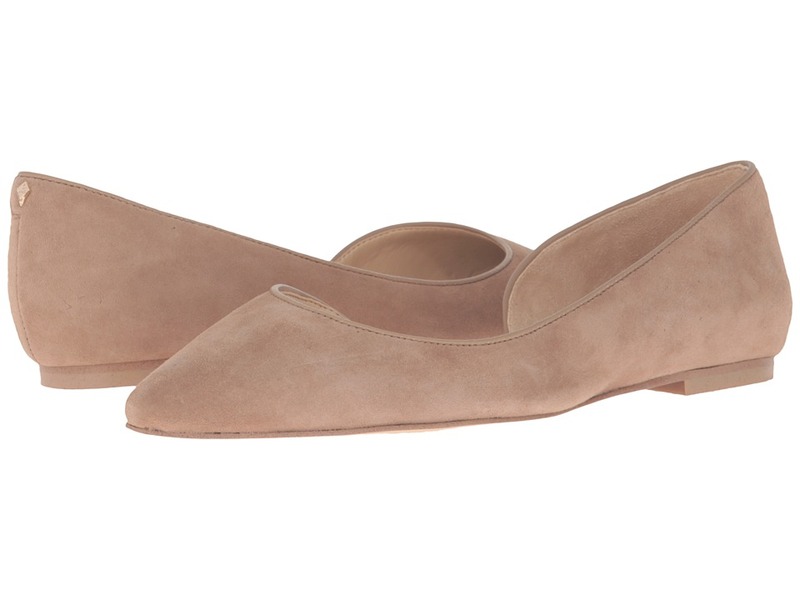 Classic ballet flat silhouette. Uppers of durable metallic leather. Slip-on construction. Round toe. Rubber outsole for durable wear. Imported. Measurements: Heel Height: 1 4 in Weight: 4 oz Product measurements were taken using size 4 Big Kid, width M. Please note that measurements may vary by size. Weight of footwear is based on a single item, not a pair. 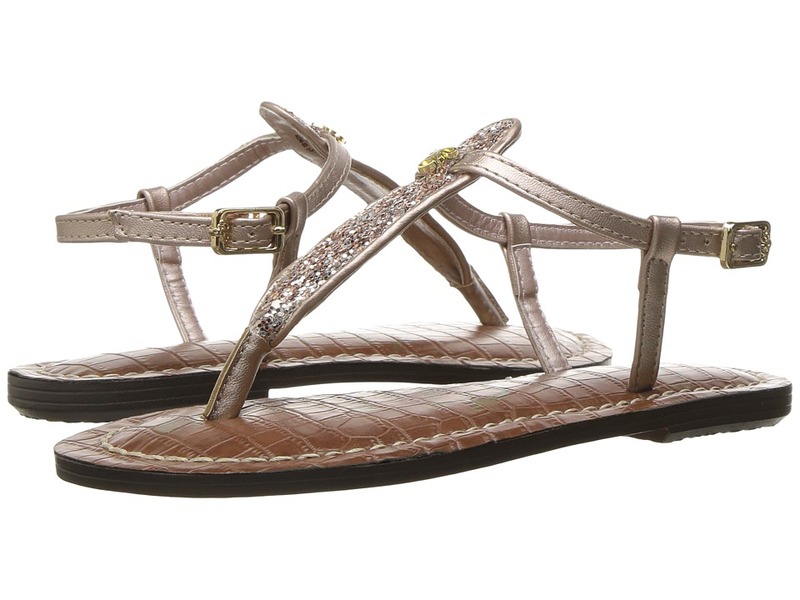 Stroll all day with these fun sandals from Sam Edelman Kids. Manmade upper features hardware logo. Thong-style construction. Adjustable buckle closure at ankle strap. Synthetic lining and cushioned footbed. Synthetic sole. Imported. Measurements: Weight: 4.2 oz Product measurements were taken using size 4 Big Kid, width M. Please note that measurements may vary by size. Weight of footwear is based on a single item, not a pair.